Just like that, it's almost July. Summer got itself here in a big hurry. 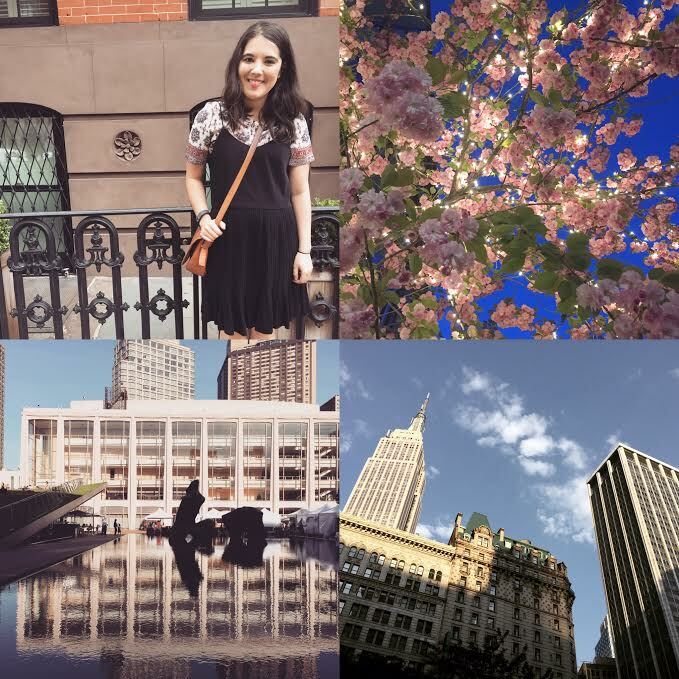 Clockwise from top left: Standing on my street in an & Other Stories dress and Madewell top; Flowers on 53rd Street; Somewhere in Flatiron; reflecting at Lincoln Center. 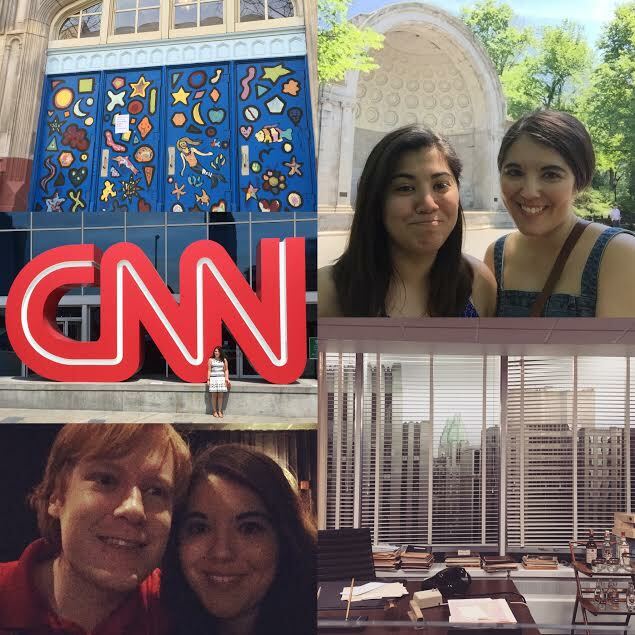 Clockwise from top left: A beautiful school door in Chelsea; My sister and I in Central Park during her Memorial Day weekend visit; Don Draper's office at the Museum of the Moving Image; watching Ex Machina with Jeremiah; visiting company headquarters in Atlanta during my sister's graduation. 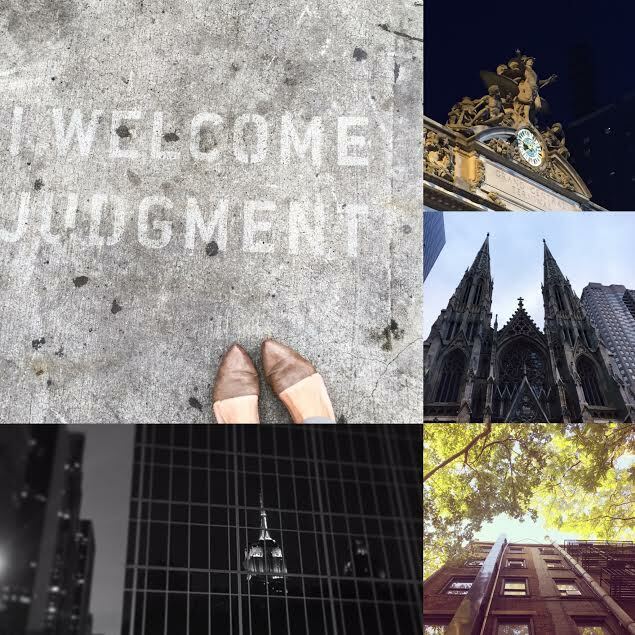 Clockwise from top left: True Detective street art on 9th Avenue; Top of Grand Central Station; St, Patrick's Cathedral; Drinks on the Upper East Side; Empire State, by reflection. 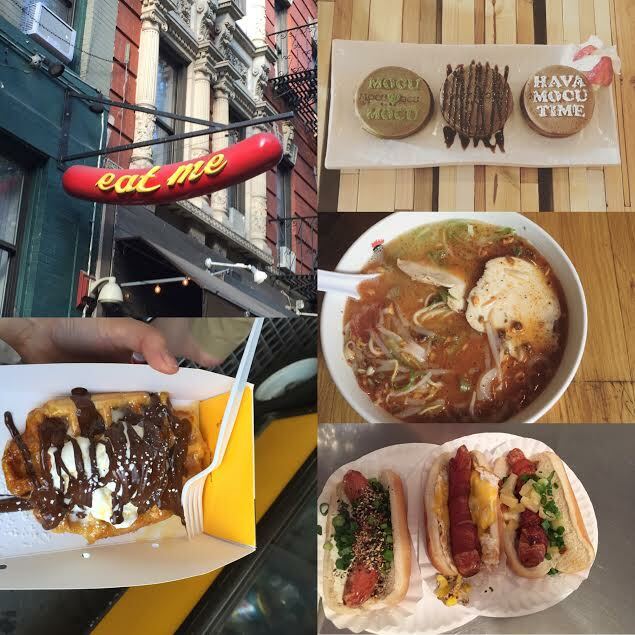 Clockwise from top left: Crif Dogs sign in East Village; Matcha obanyaki at Mocu Mocu in Hell's Kitchen; Totto Ramen in Hell's Kitchen; Anniversary hot dogs at Crif Dogs; Waffles and Dinges in Flatiron. This is my third summer of living in the city (and fourth if you count the one year I did an internship up here). I finally feel like I've hit my comfort zone, both at work and living in my neighborhood. I'm incredibly grateful to live close enough to my work that I can walk anywhere and everywhere on my own two feet, and not rely on the subway for my daily routines. - Associating summer with the smell of "hot garbage"
Anyways, how is your summer going?